Changes in the world economy are making a positive impact for manufacturers in the United States. Manufacturing jobs are increasing, companies are reshoring, and modern technology is once again changing the landscape of machinery. For many years, corporations have been moving their production to China, India, and other developing nations. These moves are in an effort to takes advantage of the low cost in labor and overhead, minimize risk management, and gain tax breaks. However, in recent years changes in regulations and the rise in China’s economy has resulted in an increase in labor costs. Companies are finding that it is more cost effective to keep their production in the United States, especially with recent West Coast port shipping delays. With the Reshoring Initiative, founded in 2010, there are more outlets now than ever before to encourage and help companies reshore their manufacturing back to America. Walmart has even stepped forward and made a pledge to buy $50 billion in U.S. made products over 10 years. They are helping manufacturers by hosting Supplier Summit conferences to connect companies involved in the supply chain. Star Thermoplastics, in its commitment to support reshoring and Made in the USA products, has participated in Walmart’s Supplier Summit. Companies such as Anchor Hocking, Calibowl, and Creative Things Inc, have all been influenced to reshore their manufacturing facilities by Walmart’s pledge. 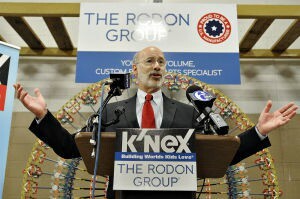 The Rodon Group announcing that K’NEX is shifting the production of its Lincoln Logs sets back to the U.S.
A “Made in the USA” sign proudly hangs outside of Calibowl’s facility in Union City, California. The choice to reshore from China was made in part to improve quality, meet increasing customer demand for American-made products, and implement just-in-time manufacturing. Other companies are also finding that they can profit by moving business back to the U.S. Employee output has increased in the last 35 years, now producing three and half times more than the output of workers in 1979. Companies like Thorley Industries, working under the brand 4moms, the toy manufacturer K’Nex, and the makers of the Nutribullet Capital Brands LLC., have all made the decision to move their manufacturing to the United States. The increase in American-made products brings wealth to a nation. When consumers buy locally made and sourced products we help America grow. When we buy foreign or imported products we are sending our money overseas instead of keeping it at home to help our economy. Buying American-made products is a choice and it is one we encourage and are proud to make. Increased economic growth and consumer demand to buy American-made products has renewed the appeal of manufacturing in the U.S. According to the Bueau of Economic Analysis, the manufacturing sector has steadily increased its contribution to the economy since 2009 from $1.73 trillion to $2.09 trillion. The manufacturing industry is the U.S. has become more attractive in recent years due to more stable wages, reduction in natural gas cost, and steady electical costs. Plus, more companies want to protect their intellectual property and product designs, all while keeping a closer eye on quality. Not everyone can afford to go to a four-year university and get the job of their dreams. The unemployment rate for a high school graduate is twice the rate of unemployment for a college grad. Over the past decades, there has been an increase in the wealth gap. Job creation by the manufacturing industry leads to the growth of the middle class and helps to shrink that gap. Manufacturing jobs pay better than both retail and food service positions. 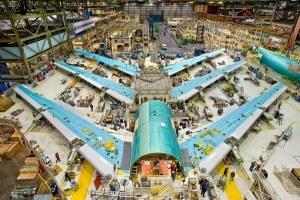 Boeing 747-8 U.S. assembly line. Creating new jobs is not a fast task, however, there has been an increase in jobs created in the manufacturing industry. According to the White House, nearly 900,000 jobs have been added since February of 2010. Although debated, it has been reported that the average pay including benefits is $77,500 with most jobs offering health insurance. The addition of these reliable, well-paying jobs opens the opportunity to expand the middle class. It is an opportunity to create more skilled workers and decrease the national unemployment rate. The Bureau of Labor Statistics reports a total of 12.2 million Americans are employed in manufacturing. These jobs spur innovation and creativity; they also lead to the creation of higher-value-added jobs. 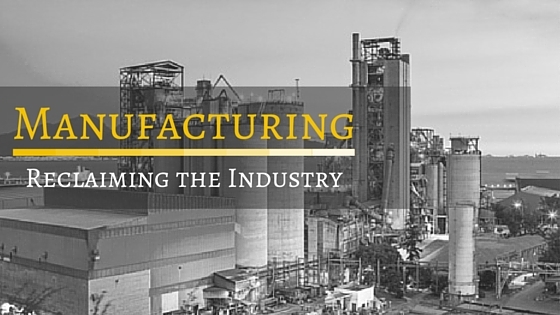 Innovation and technology have changed the way manufacturers are doing business. The production machinery has been redesigned to run faster, smoother, and more efficiently. There is an opportunity in the marketplace for skilled workers who can operate the machines as well as program them. The innovation created by the manufacturing sector is a springboard for more jobs and puts the United States at the front of new technology. American manufacturers drive innovation by performing more than 3 quarters of all private-sector Research & Development. (Source: NAM and Bureau of Economic Analysis) With a strong manufacturing industry, the U.S., the economy will benefit, as will the world. Modern facilities now make the workplace more enjoyable and productive. It is no longer about pushing product at all costs. These facilities boast climate control, well-lit rooms, even “clean-room” environments in some. At the Toyota assembly plant in Kentucky, they offer a credit union, medical facility, break rooms, and multiple dining options. The OSHA and EPA regulations that U.S. facilities follow makes their domestic plants cleaner and safer than those plants abroad that have much less regulatory oversight. Workplace safety is a nationwide concern and plants are safer today than they have ever been. 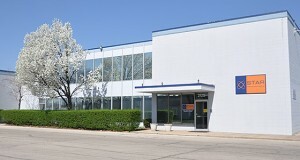 Star Thermoplastics facility in Broadview, IL. 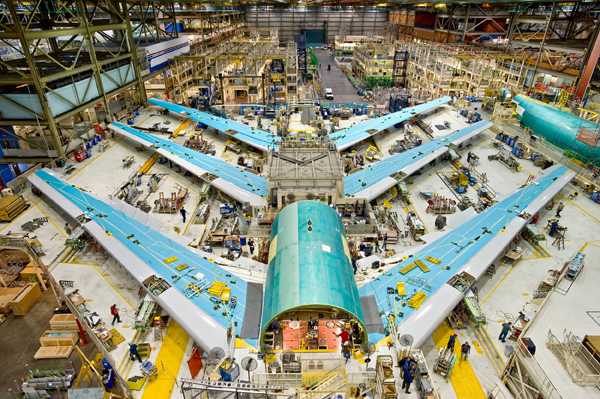 Citizens will benefit from working for a manufacturing company, but so will the economy. Workers who maintain a steady job are healthier than citizens who are unemployed. They also have a greater sense of self-worth. Manufacturing is still a way to achieve the American dream. Many jobs do not require a degree but instead require reliable attendance and a desire to learn and grow with a company. When people have a job, they have hope; they have a way to stay out of poverty. Manufacturing jobs, which pay well and offer access to health insurance, give people the opportunity to improve their lives and the lives of those around them. Tell us what you love about working for a manufacturing company by leaving us a comment below. Want to learn more? Read more here What’s So Great About Manufacturing?, The Future of Manufacturing: The Good, the Bad, the Not Too Ugly, Facts About Manufacturing, 15 Great Workplaces in Manufacturing & Production, 8 Reasons U.S. Manufacturing Is Great. Interested in working for Star Thermoplastics? Learn more over at out Employment Opportunities page. I have worked in manufacturing for most of my professional career. I’ve been in high tech, food processing, aerospace and sporting goods. I currently work for an injection molding company in Idaho and get to be involved with a little bit of all these industries. To me there is nothing more gratifying then seeing something that you’ve been a part of being put to use in the marketplace. Manufacturing is what truly makes the world a better, more comfortable and just awesome place to be. I am proud to be part of such an incredible piece of what has made our nation so great and I will always be a promoter of manufacturing. Eric, We couldn’t agree more with you. We take great satisfaction from helping our customers bring their products and innovation alive. Nothing makes us happier then seeing people’s dreams come alive. The best part for us is that we are an American owned and operated company for over 20 years. Let us know if there is anything we can do for you or if there are other topics you would like to see. The reshoring efforts by Walmart are good for the U.S. economy, American manufacturing and job creation. Walmart’s 10 year $250 billion initiative to supply it’s customers with more Made-in-USA goods is the biggest opportunity one company has provided to U.S. manufacturing. The time is right to make more Made in USA products available to U.S. consumers. Bringing production from another country, especially a low-labor-cost (LLC) country, is increasingly feasible due to the rapid closing of the wage gap vs. the U.S.
Sandy, Thank you so much for you input. As an American manufacturer for over 20 years, we take pride in being an American product.